Straight out of the pages of the all-time favorite series, Batman: Rebirth, comes the only thing that may be more iconic that the Bat-symbol itself: The Batman Cowl. The newest releases from the beloved DC Collectibles Gallery Collection are a line of Batman cowls, each representing a beloved rendition of the Dark Knight’s headgear from comics, film and games. 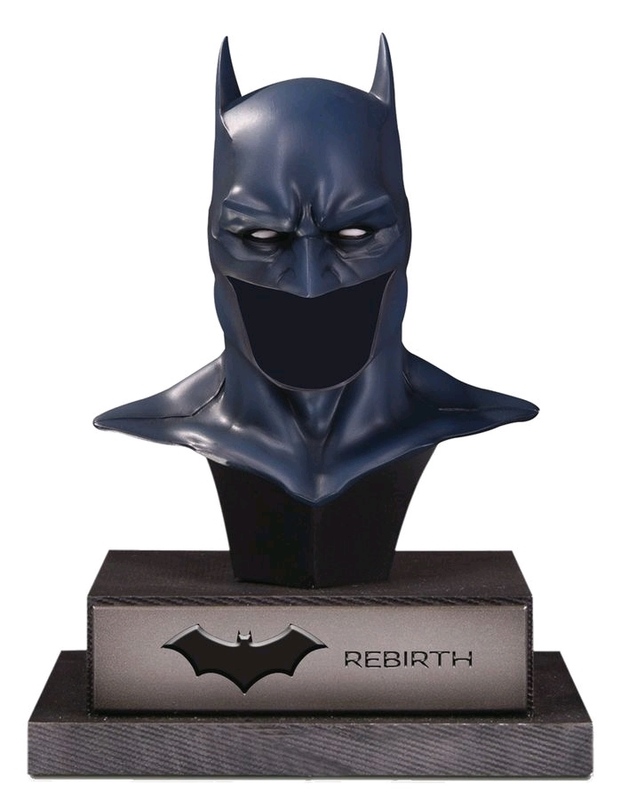 The first cowl of the series is designed as perfect three dimensional replica of the Dark Knight’s mask in the Rebirth era of Batman. Standing approximately 8.5 inches tall, this 1:2 scale bust-style poly-resin statue makes for an imposing addition to a home or office, ideal for fans of the Tom King era of the Dark Knight. This run will be limited to 5,000 pieces.